What's on the menu for lunch today? What if you we told you, that YOU were on the menu! 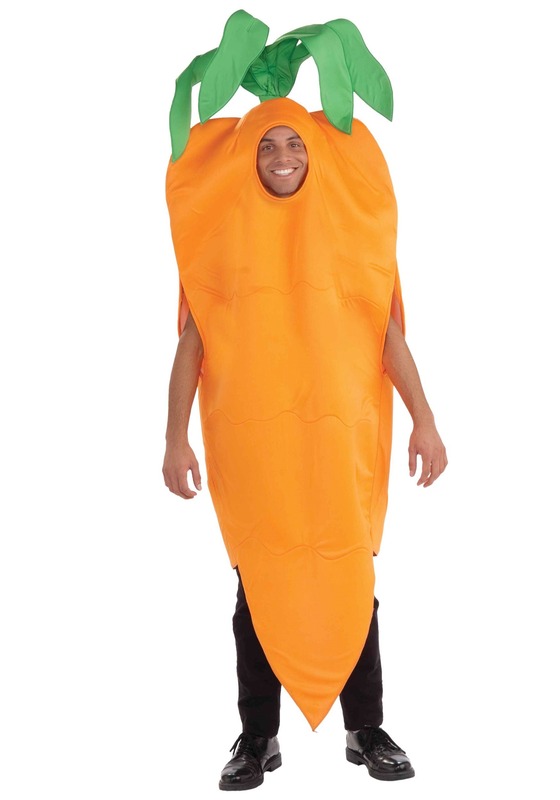 Your friends and family might just want to turn you into the new lunch special after they see wearing this Adult Carrot Costume. 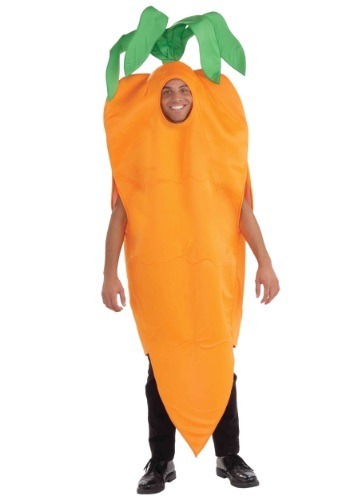 It's one silly, yet strangely delicious looking, costume makes you a lot more popular with bunny rabbits, peas and bakers trying to make the largest carrot cake in the world. With an tunic that fits most sizes, it's easy for anyone to jump into the role of one of the world's healthiest vegetables. You'll be making peace with peas in no time and the bright color will have you standing out from all the other foods. You'll be glad you picked this costume over dressing up like a brussel sprout, that's for sure! Bought as an addition the Easter bunny. Its opening for the the face is extra large so I went black and bought the Orange body suit to go under it. Best for ladies or small man. I am pleased with it.